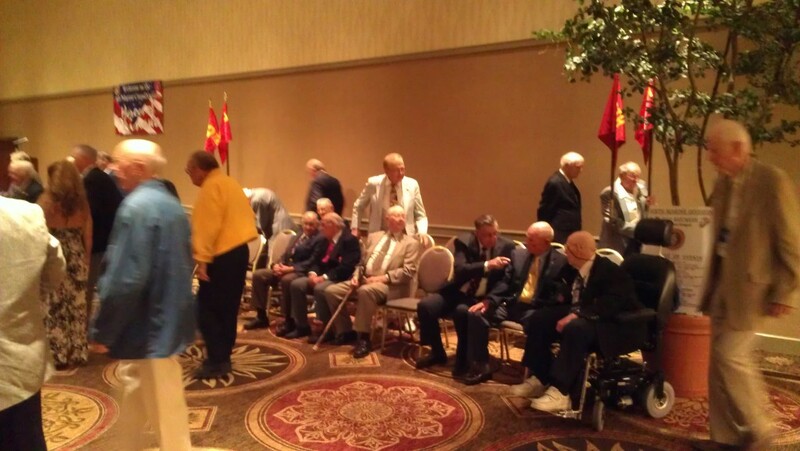 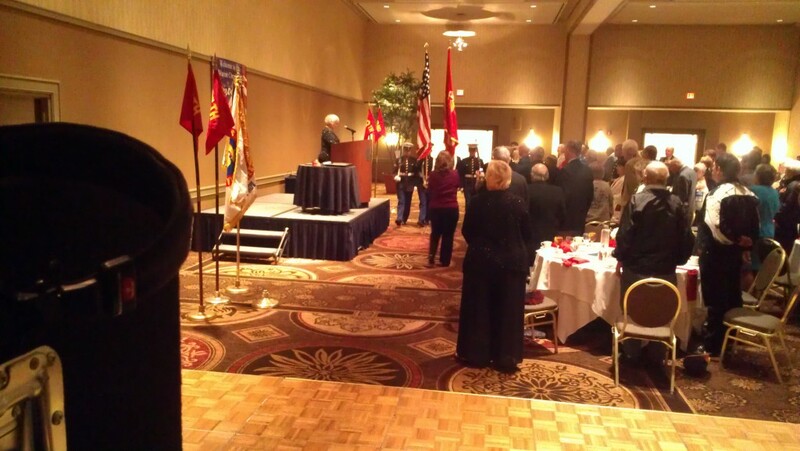 The only marine division never to serve on U.S. soil gathered for a reunion on Friday, September 21, 2012 in the Grand Ballroom II at the Hilton Hotel located in downtown Portland, Oregon. 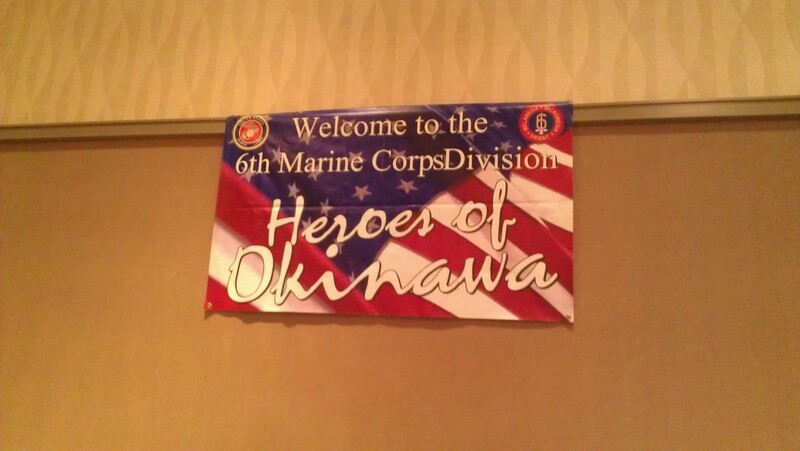 The Sixth Marine Division was formed during World War II in the South Pacific and also disbanded there after taking Okinawa, Japan. 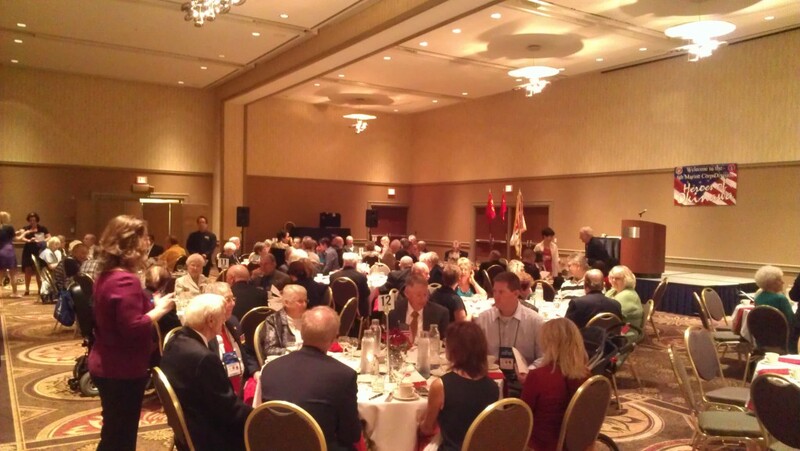 The majority of veterans and their spouses are 92 years young, so I played an appropriate mix of music from the 30’s, 40’s and 50’s during cocktails and dinner, including selections from the Andrews Sisters, Benny Goodman and Glenn Miller. 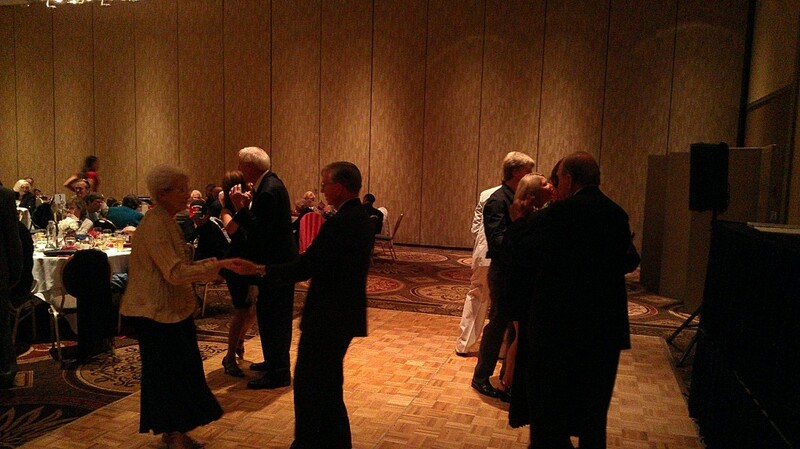 After dinner, several guest speakers and a group photo, I opened the dance floor with Glenn Miller’s ‘Moonlight Serenade’. 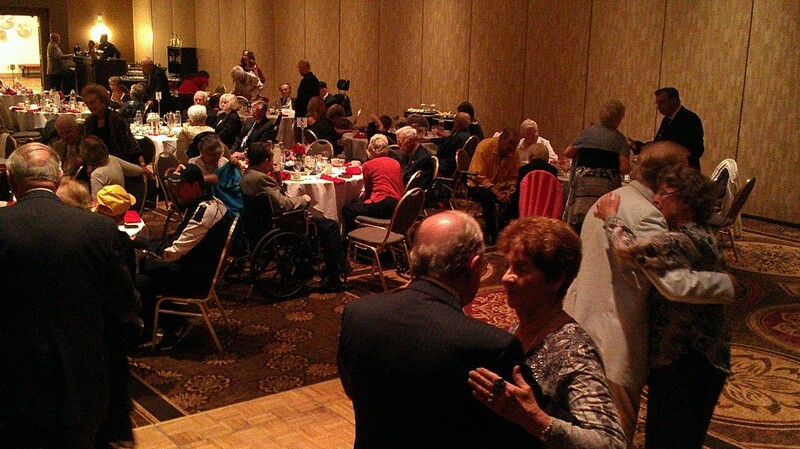 Other popular songs during the war followed and many couples danced and enjoyed the memorable music.